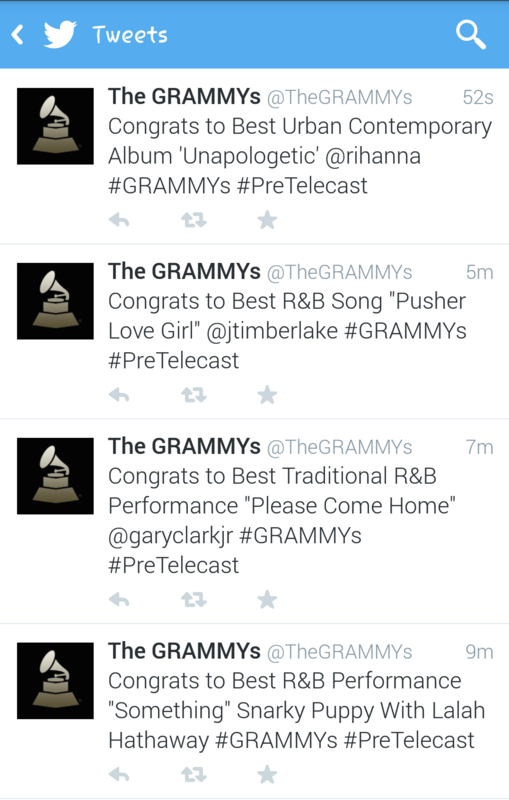 The Grammy’s do a pre-telecast show for some of the categories and here are some of the winners The Grammy’s twitter account tweeted out. I’m loving that Justin Timberlake won for “Pusher Love Girl.” LOOOOOVE that song. And that entire album was AWESOME! This makes me absolutely SICK. REALLY??? 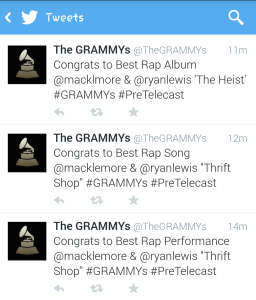 Macklemore? 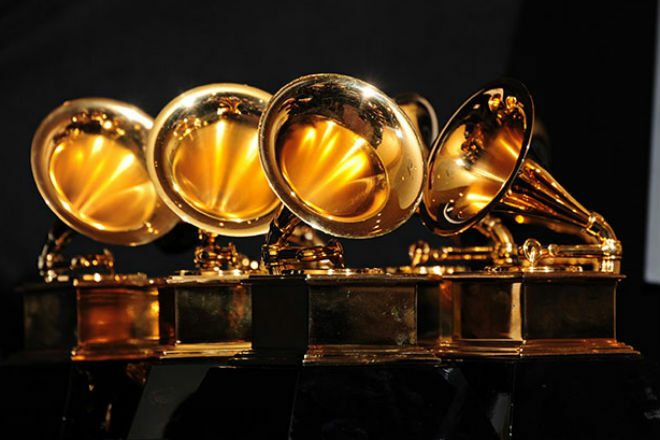 For best RAP album!?!? 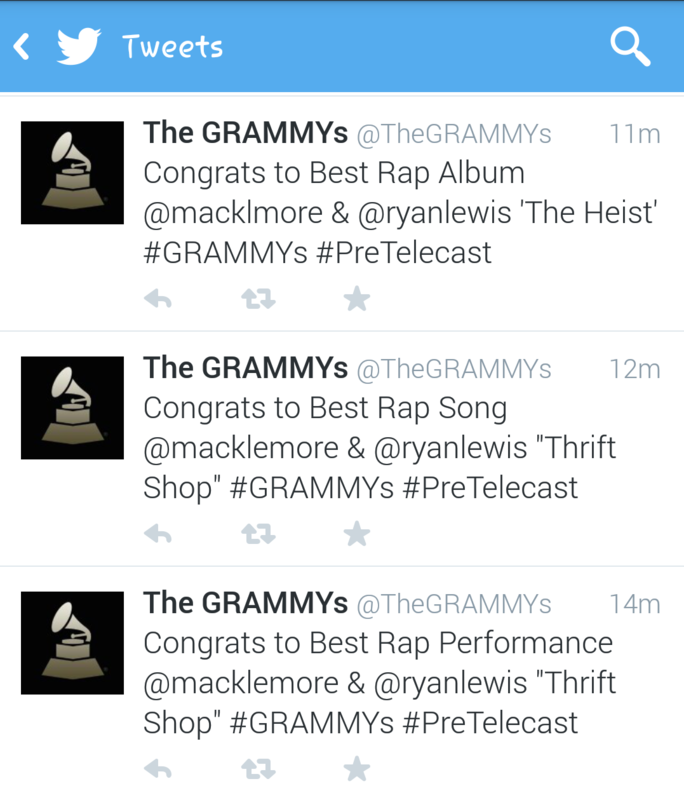 The nominating committee almost didn’t even put Macklemore in the rap album AT ALL (they were going to put them in pop)!!!!!!!!!!! UGH! This is awful. He was up against Drake (Nothing Was The Same), Jay Z (Magna Carta Holy Grail), Kendrick Lamar (Good Kid, M.A.A.D City), and Kanye West (Yeezy) for Best Rap Album. I can’t. 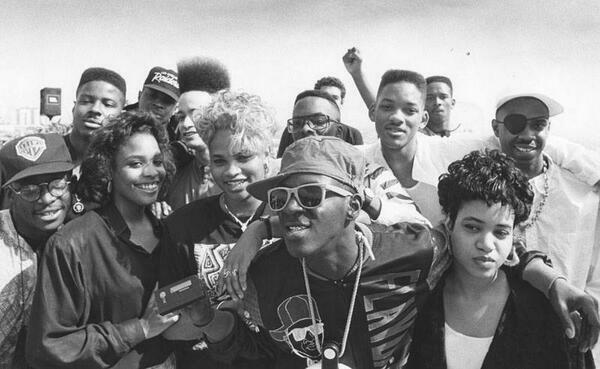 Just for fun, check this out….This is a picture of rap artists boycotting the 1989 Grammy’s for not televising the Best Rap Performance award presentation (from @HistoryInPics).